We at Multirec Ltd produce, develop and distribute up-to-date medical knowledge bases for our clients data systems. We collect databases from the best possible sources and adjust them to our clients needs. We deliver the knowledge bases in the agreed form and guarantee their maintenance and regular updates. Our key endeavor is to keep to the agreed schedules and to provide faultless services month after month. 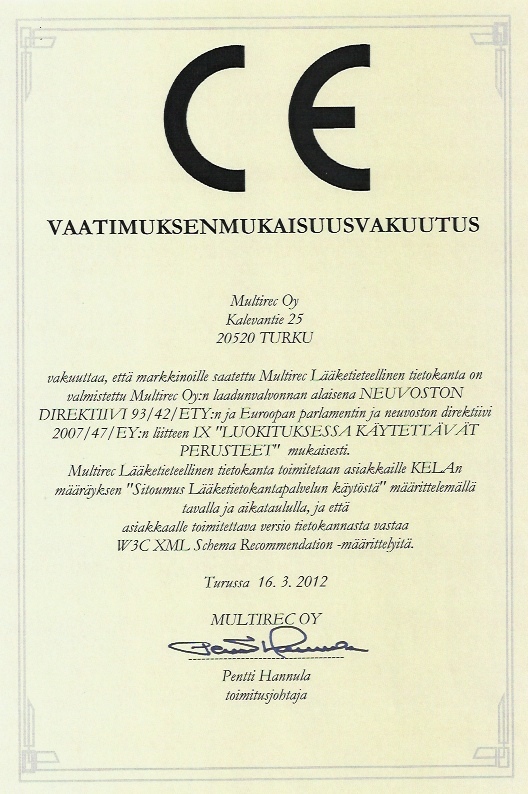 Multirec Medical Database is classified as class I medical device.